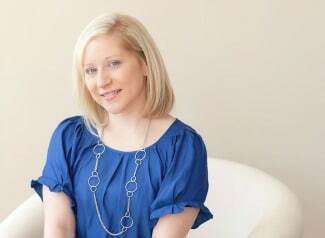 Nothing welcomes a new baby more than a beautiful baby shower! 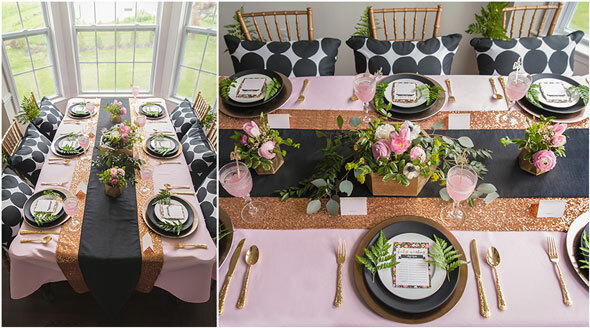 This Modern Garden Baby Shower was a contemporary and chic garden themed shower, even though the rain moved the party out of the garden and inside! 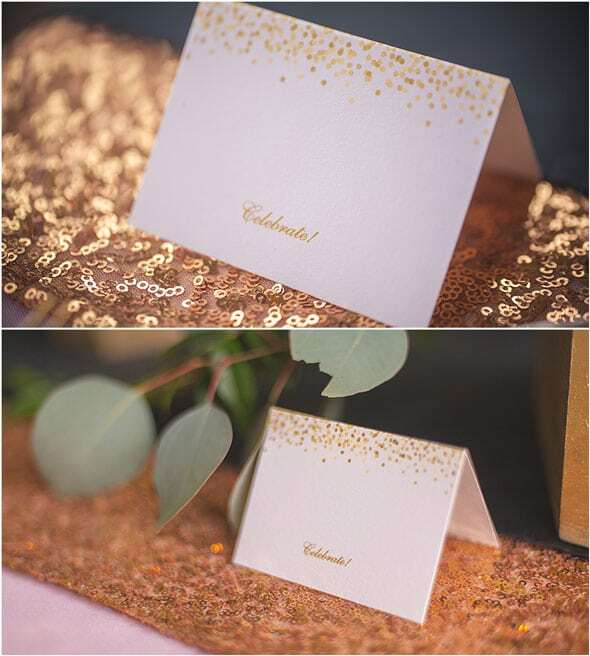 The gorgeous theme fit perfectly with garden-themed stationary from Tiny Prints. 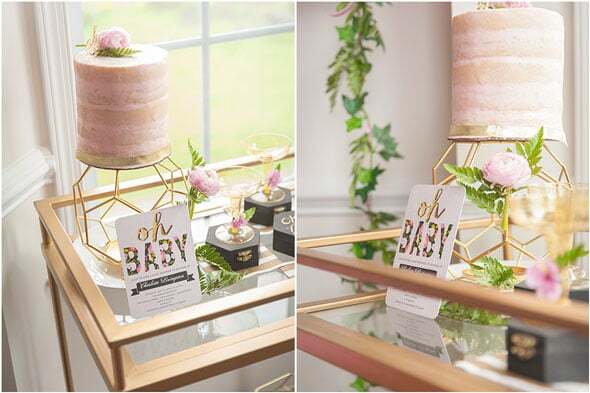 Geometric details and lush floral elements created a stunning and sophisticated way to honor the mom-to-be! 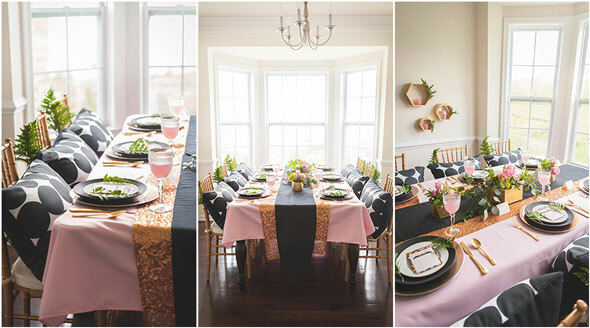 Sweetly Chic Events & Design set the scene with blush, gold and natural green details. Guests were seated at a dining table with elegant place settings, beautiful linens and fragrant florals. 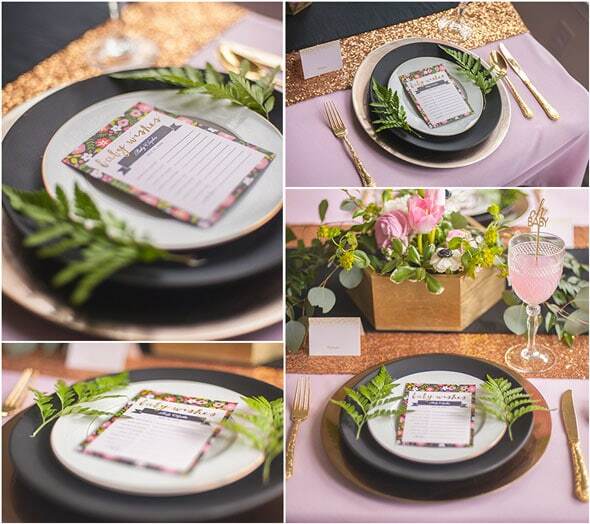 Each guest had a beautiful place setting with a gold charger and matte black dish coupled with a gold rimmed piece of china. 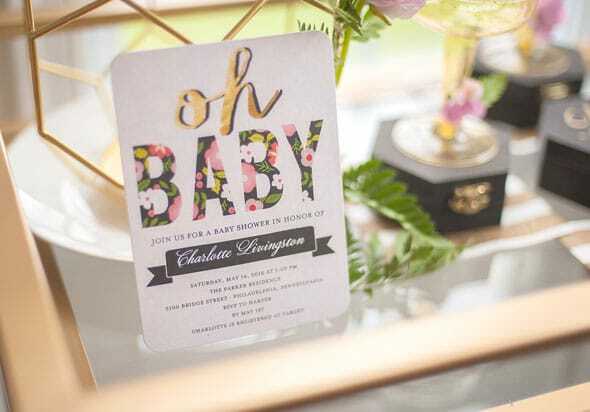 A gorgeous garden themed piece of stationary entitled “baby wishes” rested between fresh greenery for guests to share their hopes and advice for the mom-to-be and her precious bundle. 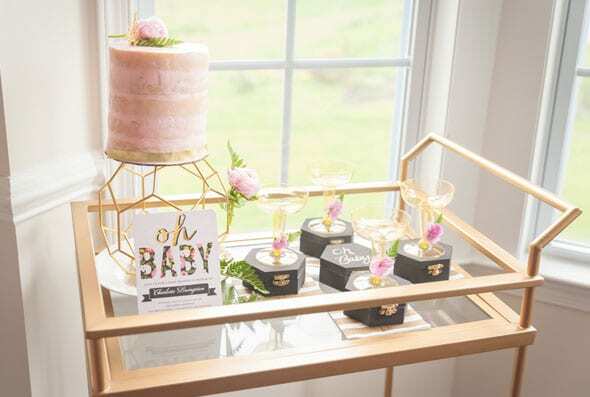 Each setting was flanked with a crystal goblet filled with a fresh strawberry lemonade punch (mom’s favorite indulgence) and a custom “oh baby” metallic gold drink stirrer made by Ten23 Designs, which was inspired by the baby shower invitations. 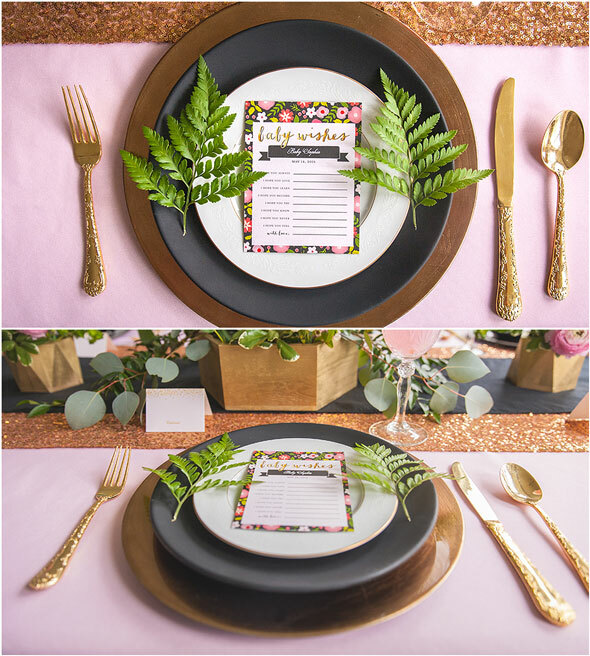 Gold cutlery and a “celebrate” card added a whimsical element to each setting. 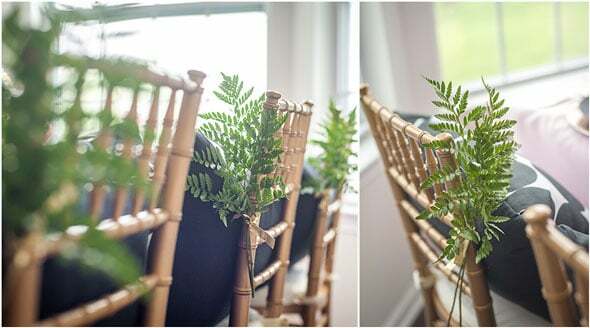 Every guest enjoyed a gold chivari chair, which was adorned with over-sized pillows with a sleek and modern print, also from Tiny Prints. Fresh greenery was added for an additional garden feel. 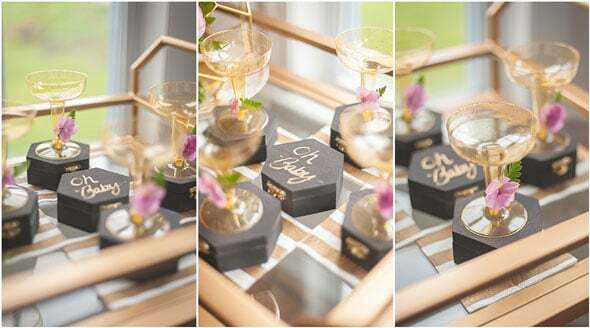 Atop of the blush linen, gold sequin, and black table runners were stunning floral arrangements from Belovely Floral & Event Design, resting in gold geometric wood bowls. 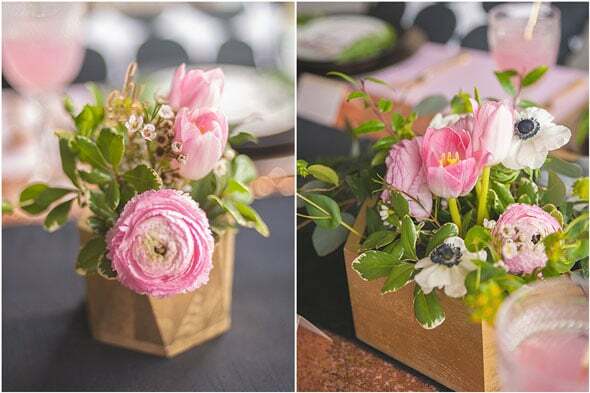 Each arrangement was filled with various pink and white flowers and vibrant greens. Matte black stones added a fun and beautiful detail to the centerpieces. 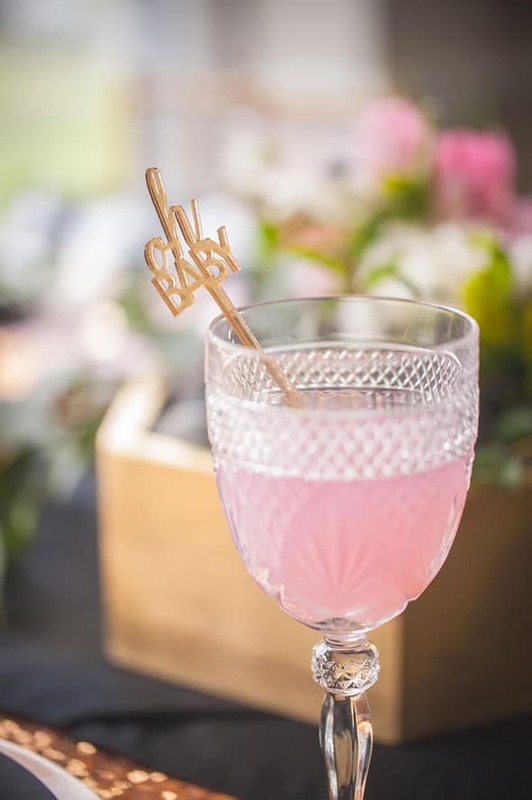 A few extra drink stirrers were added in to the “oh baby” theme. For gift and dessert time, a mother’s nook area was created. A mother’s chair was there, which was covered in an ivy detail. There were also over sized balloons with vibrant greenery and a geometric backdrop. 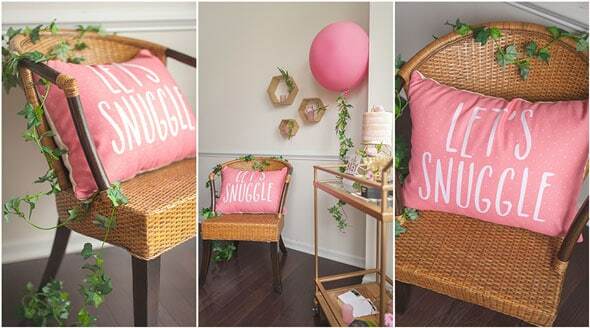 It perfectly complimented the wicker mother’s chair with an over sized pink “let’s snuggle” pillow, created from Tiny Prints. 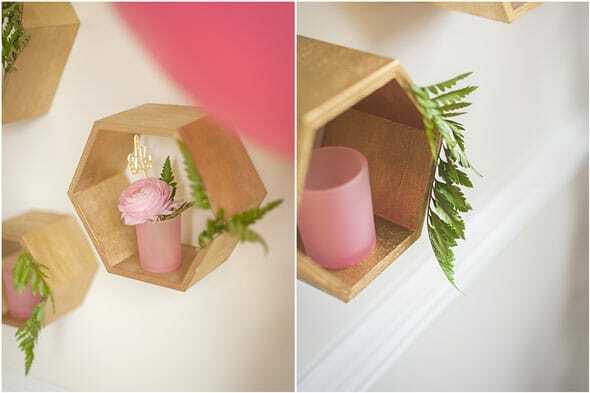 What a perfect item for the baby’s room after her arrival! A bar cart filled with cake, geometric decor and extra glasses for the strawberry lemonade punch was present, as well! 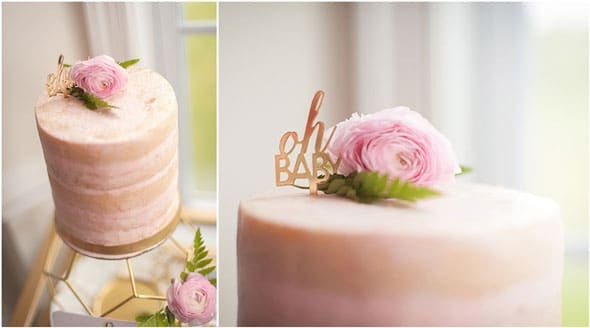 The blush colored naked cake from Katie’s Creative Baking was topped with fresh florals and another “oh baby” stirrer. 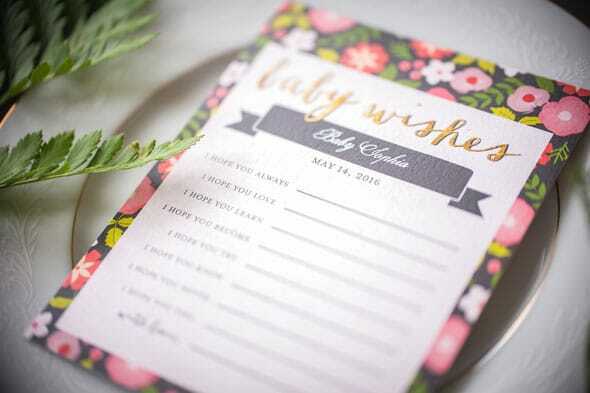 What a great idea to include “Baby Wishes” for all of the guests to fill out! 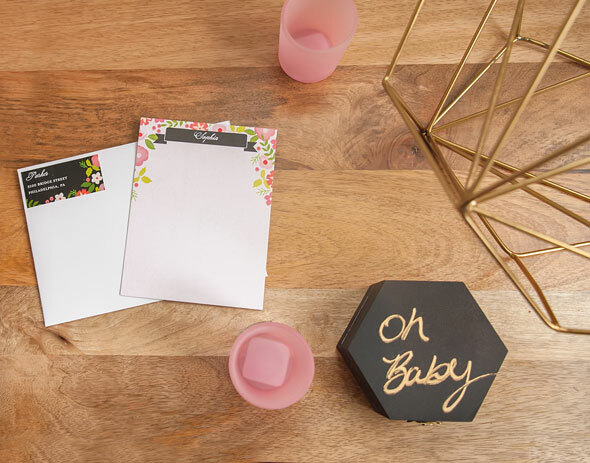 Every mother-to-be can use words of wisdom and advice from their closest loved ones and it was a fun way to incorporate people into the day. Lastly, themed thank you notes were displayed for the mom-to-be to send after the festivities! 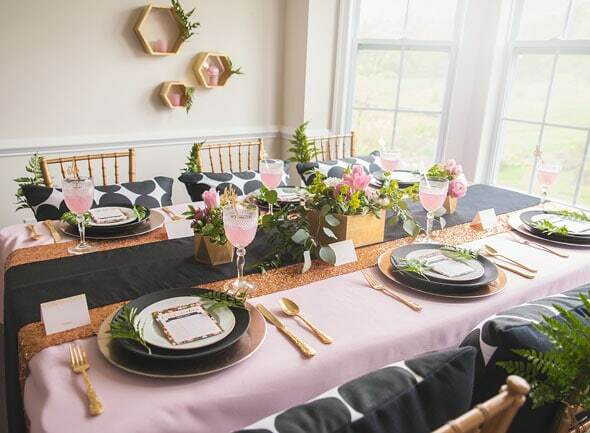 What a gorgeous theme and the colors were perfectly complimentary to the Modern Garden Baby Shower!